Please click for the La Sportiva Size Conversion. 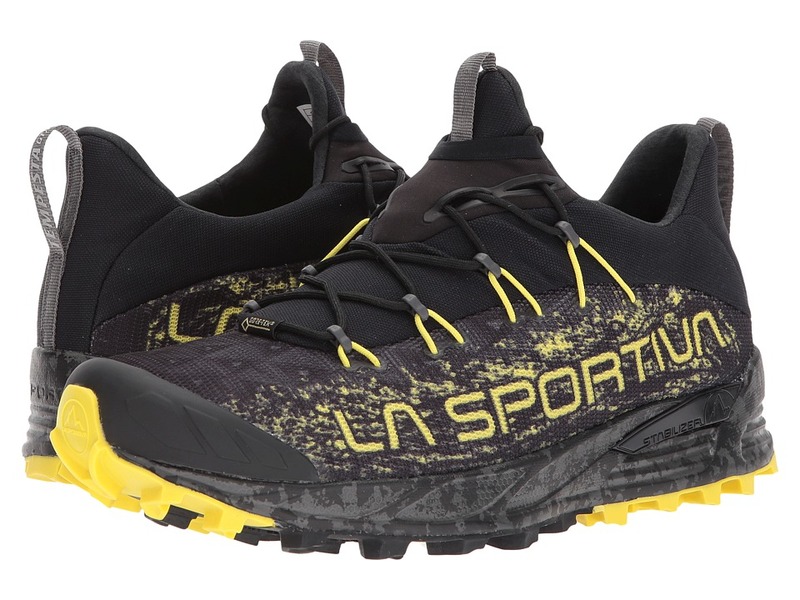 The lightweight and waterproof La Sportiva Tempesta GTX running shoe will keep you performing at your best through unpredictable weather and uneven terrain. Durable AirMesh upper with a four-way stretch dynamic scree guard for added protection against the elements. Single pull fast-lacing system for quick and easy closure. Built on the Tempo 2 Ergo last. GORE-TEX&amp#174 Extended Comfort lining allows for a drier, more breathable foot environment. Comfortable Ortholite footbed for underfoot comfort and support. Injection molded EVA midsole and TPU stabilizer for underfoot support and shock absorption. Gore-Flex&amp#174 strobel board for added waterproof protection. FriXion&amp#174 AT V-Groove&amp#8482 with Impact Brake System&amp#8482 provides superior traction and excellent grip on difficult terrain. Imported. Measurements: Weight: 13 oz Product measurements were taken using size 44.5 (US Men~s 11), width D - Medium. Please note that measurements may vary by size. Weight of footwear is based on a single item, not a pair. Please click for the La Sportiva Size Conversion. 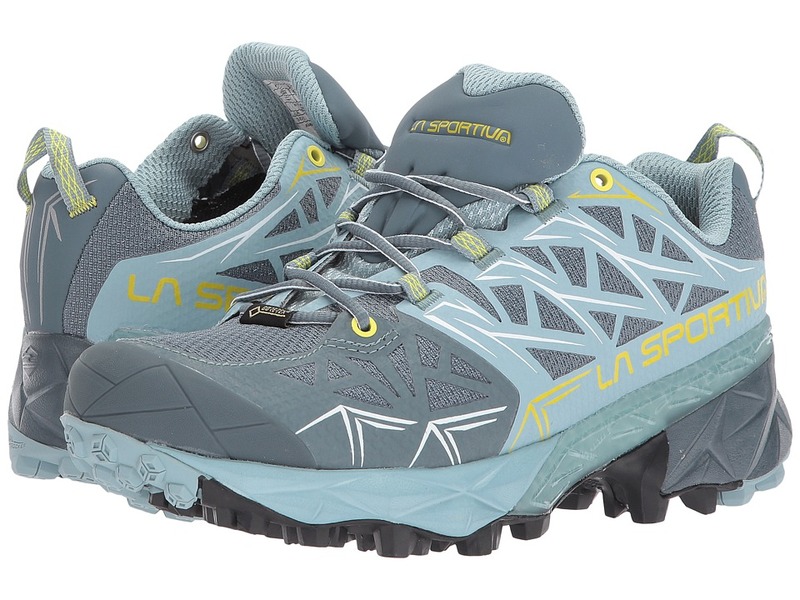 The all-weather La Sportiva Uragano GTX running shoe is the ideal choice to keep you performing at your best through wet weather and difficult terrain. Built on the Tempo 2 Ergo last. Durable AirMesh upper with a four-way stretch dynamic scree guard for added protection against the elements. Intuitive fast-lacing system allows for easy use with gloves. GORE-TEX&amp#174 Extended Comfort lining allows for a drier, more breathable foot environment. Comfortable Ortholite footbed for underfoot comfort and support. Injection molded EVA midsole and TPU stabilizer for underfoot support and shock absorption. Gore-Flex&amp#174 strobel board for added waterproof protection. FriXion&amp#174 AT V-Groove&amp#8482 with Impact Brake System&amp#8482 provides superior traction and excellent grip on difficult terrain. Imported. Measurements: Weight: 15 oz Product measurements were taken using size 45.5 (US Men~s 12), width D - Medium. Please note that measurements may vary by size. Weight of footwear is based on a single item, not a pair. Please click for the La Sportiva Size Conversion. 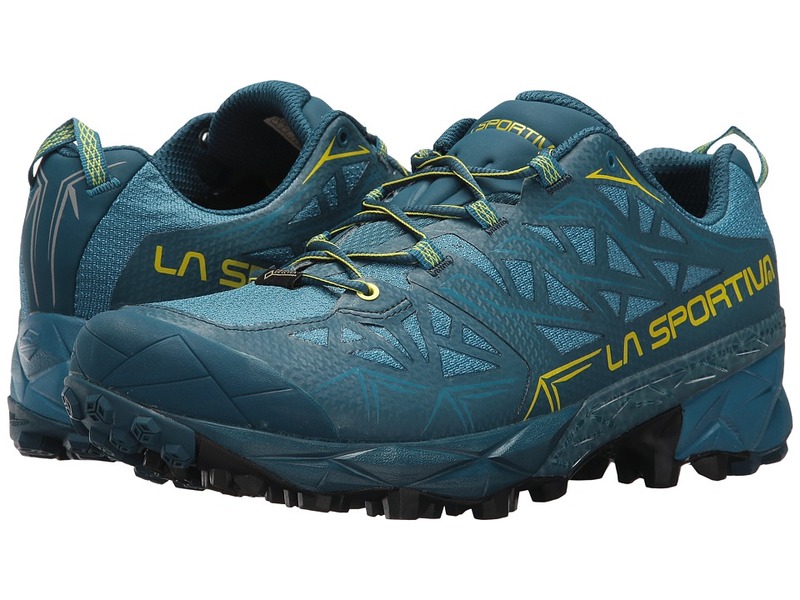 Handle the roughest terrain and the wettest weather with ease when you~re wearing the all-weather protection and tough, grippy outsole of the La Sportiva Akyra GTX running shoe. Built on the Tempo last. Durable AirMesh upper with TPU MicroLite Skeleton and Flex-Guard&amp#8482 inserts for long-lasting durability. Traditional lace-up system for a secure fit. GORE-TEX&amp#174 Extended Comfort lining allows for a drier, more breathable foot environment. Comfortable Ortholite footbed for underfoot comfort and support. Injection-molded MEMlex EVA midsole provides excellent underfoot support and shock absorption. Aggressive Trail Rocker2&amp#8482 outsole with Impact Brake System&amp#8482 ensures the stickiest grip and best traction on the trail. Imported. Measurements: Weight: 1 lb Product measurements were taken using size 45.5 (US Men~s 12), width D - Medium. Please note that measurements may vary by size. Weight of footwear is based on a single item, not a pair. Please click for the La Sportiva Size Conversion. 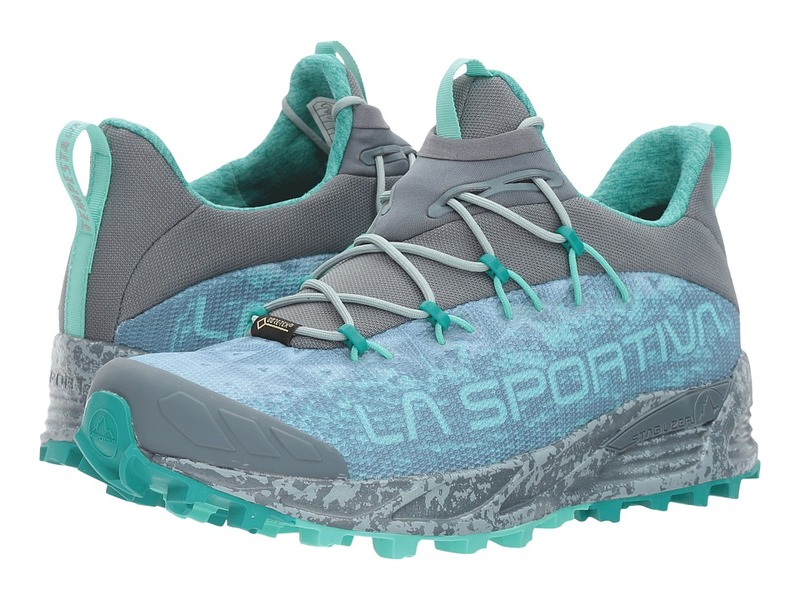 The La Sportiva Akyra running shoe blends graceful sleekness with powerful durability that will allow you nimble agility on the most challenging of trails. Built on the women~s Tempo 2 last. Durable AirMesh upper with TPU MicroLite Skeleton and Flex-Guard&amp#8482 inserts for long-lasting durability. Traditional lace-up system for a secure fit. AirMesh lining in the heel area only. Comfortable Ortholite footbed for underfoot comfort and support. Injection-molded MEMlex EVA midsole provides excellent underfoot support and shock absorption. Aggressive Trail Rocker2&amp#8482 outsole with Impact Brake System&amp#8482 ensures the stickiest grip and best traction on the trail. Imported. Measurements: Weight: 11 oz Product measurements were taken using size 38.5 (US Women~s 7.5), width B - Medium. Please note that measurements may vary by size. Weight of footwear is based on a single item, not a pair. Please click for the La Sportiva Size Conversion. 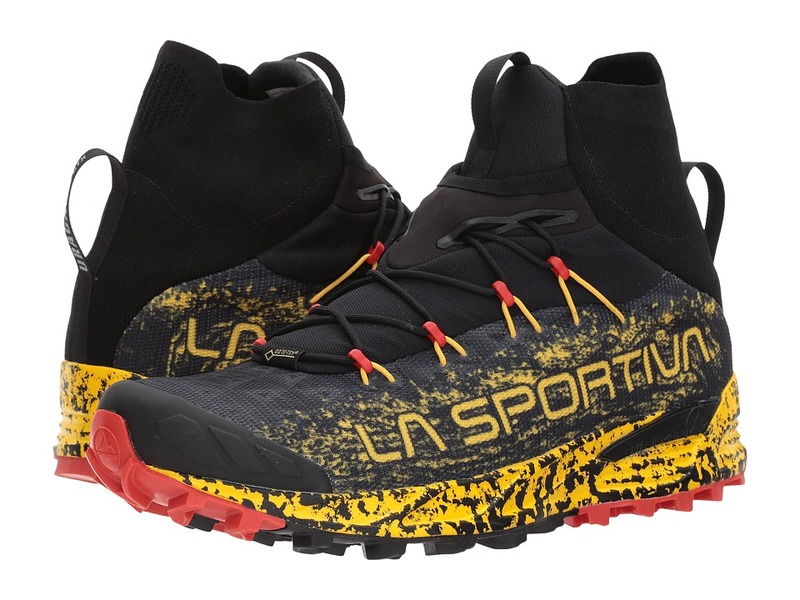 The lightweight and waterproof La Sportiva Tempesta GTX running shoe will keep you performing at your best through unpredictable weather and uneven terrain. Durable AirMesh upper with a four-way stretch dynamic scree guard for added protection against the elements. Single pull fast-lacing system for quick and easy closure. Built on a women~s Tempo 2 Ergo last. GORE-TEX&amp#174 Extended Comfort lining allows for a drier, more breathable foot environment. Comfortable Ortholite footbed for underfoot comfort and support. Injection molded EVA midsole and TPU stabilizer for underfoot support and shock absorption. Gore-Flex&amp#174 strobel board for added waterproof protection. FriXion&amp#174 AT V-Groove&amp#8482 with Impact Brake System&amp#8482 provides superior traction and excellent grip on difficult terrain. Imported. Measurements: Weight: 11 oz Product measurements were taken using size 38.5 (US Women~s 7.5), width B - Medium. Please note that measurements may vary by size. Weight of footwear is based on a single item, not a pair. Please click for the La Sportiva Size Conversion. Handle the roughest terrain and the wettest weather with ease when you~re wearing the all-weather protection and tough, grippy outsole of the La Sportiva Akyra GTX running shoe. Built on the women~s Tempo last. Durable AirMesh upper with TPU MicroLite Skeleton and Flex-Guard&amp#8482 inserts for long-lasting durability. Traditional lace-up system for a secure fit. GORE-TEX&amp#174 Extended Comfort lining allows for a drier, more breathable foot environment. Comfortable Ortholite footbed for underfoot comfort and support. Injection-molded MEMlex EVA midsole provides excellent underfoot support and shock absorption. Aggressive Trail Rocker2&amp#8482 outsole with Impact Brake System&amp#8482 ensures the stickiest grip and best traction on the trail. Imported. Measurements: Weight: 12 oz Product measurements were taken using size 38.5 (US Women~s 7.5), width B - Medium. Please note that measurements may vary by size. Weight of footwear is based on a single item, not a pair. Please click for the La Sportiva Size Conversion. 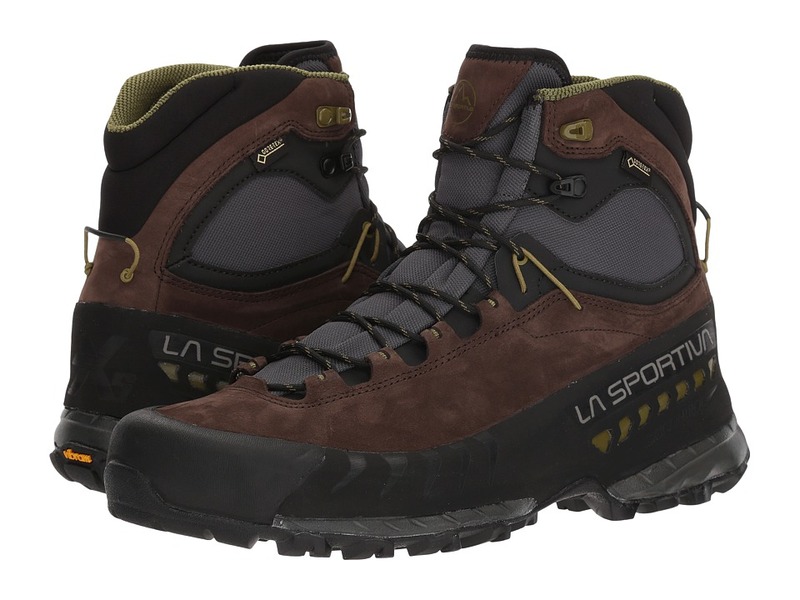 Traverse through alpine terrain in total confidence wearing the La Sportiva Stream GTX hiking boot! 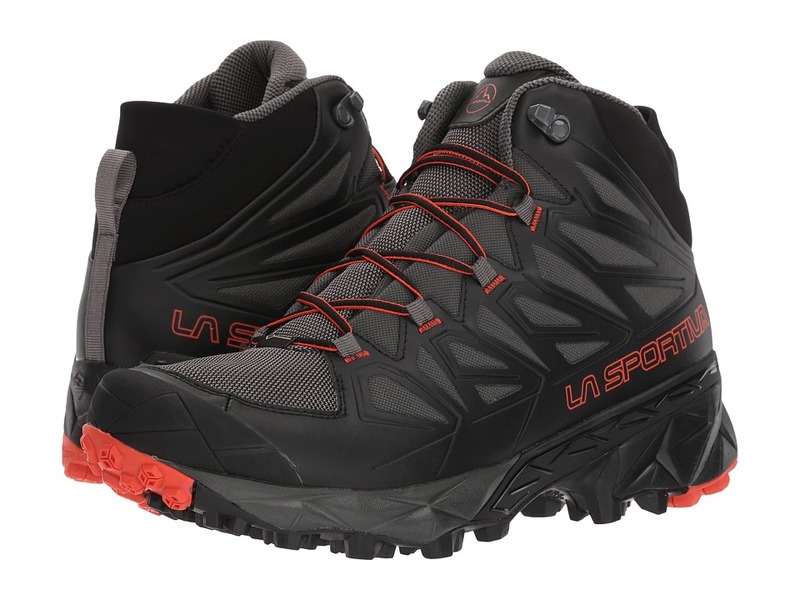 Mid-cut hiking boot in an innovative design. Durable abrasion-resistant mesh upper provides protection while Nano Cell 2.0 structure provides maximum breathability. PU TechLite toe and heel for added durability. Nano Cell 2.0 Technology works with Gore-Tex Surround aeration channels within the footbed and midsole for 360 degree breathability. STB control system integrates Gore-Tex Surround ventilation outlets and provides a comfortable, snug fitting, and stable boot. Compression-molded EVA midsole with TPU inserts for supportive wear. Vibram XS Trek outsole with Impact Brake System and Frixion Blue rubber for superior traction. Last: Tempo2 Imported. Measurements: Weight: 1 lb 2 oz Shaft: 5 in Product measurements were taken using size 45.5 (US Men~s 12), width D - Medium. Please note that measurements may vary by size. Weight of footwear is based on a single item, not a pair. Please click for the La Sportiva Size Conversion. Move quickly on the mountain in total control as you dominate the wilderness with the next-level performance of the La Sportiva Blade GTX hiking shoe! 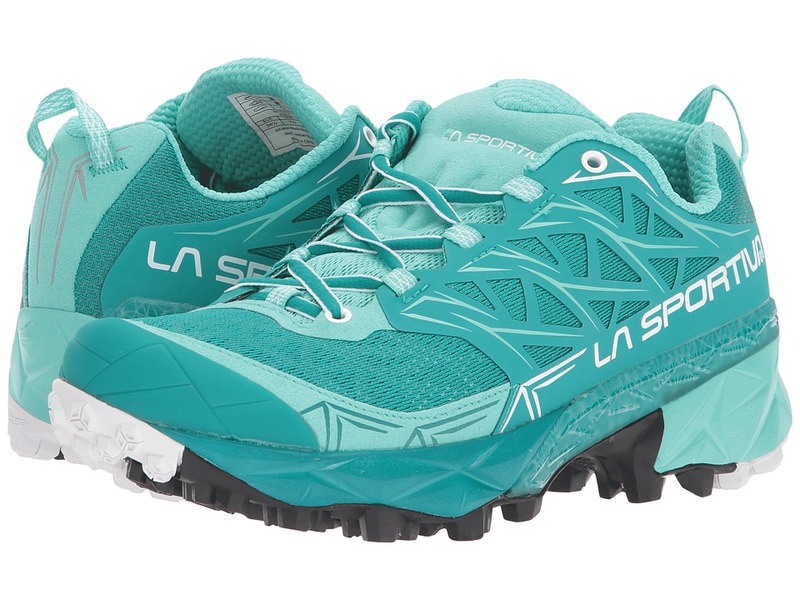 Ideal multi-sport shoe for hiking, travel, Mountain Running, and trekking. Abrasion resistant, waterproof Gore-Tex mesh with lightweight microfiber structural reinforcements. Snug lacing harness and a roomy unconstricted toe-box for added comfort. Gore-Tex Extended Comfort lining offers optimized climate comfort for warmer conditions and during higher activity levels. 5mm Ortholite hiking insole for cushioned comfort and support. Injection-molded EVA midsole with TPU stabilizer inserts. All-terrain Frixion AT 2.0 rubber compound with differentiated lugs and Impact Brake System on the sole. Last: Tempo 2 Imported. Measurements: Weight: 1 lb Circumference: 5 1 4 in Product measurements were taken using size 44.5 (US Men~s 11), width D - Medium. Please note that measurements may vary by size. Weight of footwear is based on a single item, not a pair. Please click for the La Sportiva Size Conversion. 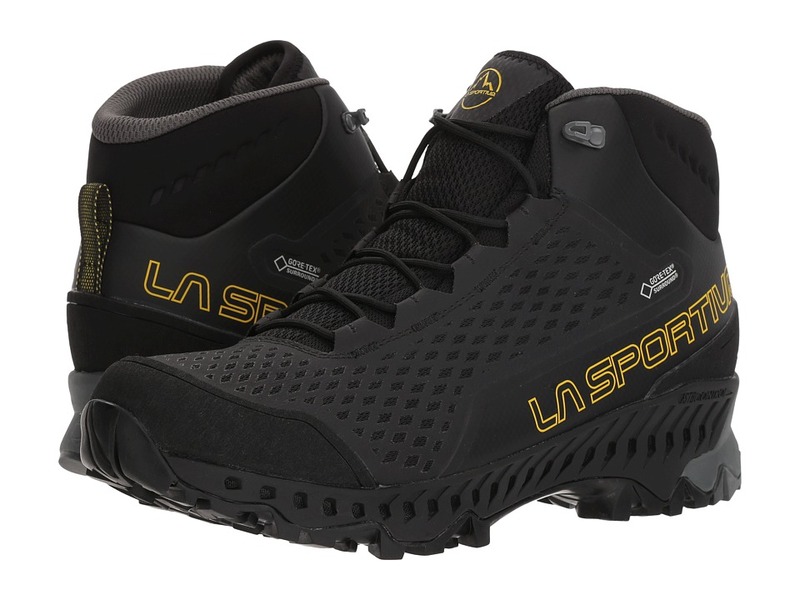 Journey through rugged terrain in confidence wearing the go-anywhere La Sportiva TX5 GTX hiking boot! High-cut leather hiking and backpacking boot. Durable nubuck leather upper. Vibram rubber rand and toe cap for added durability. La Sportiva Trango series inspired lacing system. Gore-Tex Extended Comfort lining offers optimized climate comfort for warmer condition and during higher activity levels. 3D Flex ankle system. Waterproof Gore-Tex protection. 4mm OrthoLite approach insole for supportive comfort. Injection-molded EVA midsole with STB control system provides structure and torsional stability Vibram Mega-Grip outsole with Impact Break System for grippy, long-lasting wear. Last: Traverse Imported. Measurements: Weight: 1 lb 4 oz Shaft: 5 1 2 in Product measurements were taken using size 44.5 (US Men~s 11), width D - Medium. Please note that measurements may vary by size. Weight of footwear is based on a single item, not a pair.